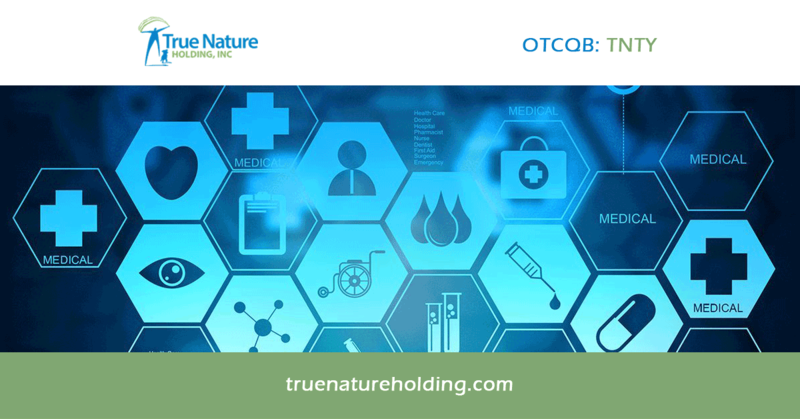 True Nature Holding, Inc. (OTCQB: TNTY) is a public, development stage company whose mission is to leverage new technologies and services to improve healthcare and outcomes for individuals, their families, and their pets. We believe we can reduce the cost of healthcare, while improving quality of life using Telehealth and Telemedicine Solutions. We are building healthcare applications that focus on: patient engagement, care coordination, remote monitoring, data analytics, and may include Blockchain RX(TM) to provide applications for market participants in healthcare through the encryption of sensitive data. This interview may include forward looking statements. These forward-looking statements generally are identified by the words “believe,” “project,” “estimate,” “become,” “plan,” “will,” and similar expressions. These forward-looking statements involve known and unknown risks as well as uncertainties, including those discussed in the following cautionary statements and elsewhere in this release. Although the Company believes that its expectations are based on reasonable assumptions, the actual results that the Company may achieve may differ materially from any forward-looking statements, which reflect the opinions of the management of the Company only as of the date hereof. SmallCapVoice.com, Inc. received $4,000 from the company on 3-13-19 for 30 days of service.